The results were impressive. More than a third of U.S. senators are opposed to PIPA in its current form ahead of the vote on the bill next week — 36 are opposed, including 5 who were formerly co-sponsors. And as the Senate votes on PIPA next Tuesday, those 13 million are invited to watch the live stream and by submitting their stories on how they use the Internet to be read by Senators who have pledged to filibuster the bill. Go, online activism. When Hollywood has to turn to passage of draconian laws like SOPA/PIPA to protect itself, It tells me that Hollywood has run out of creativity. The Hollywood guys should start looking for some other careers because without creativity one cannot be successful in the business of movies and music even if SOPA and PIPA were to pass. I sent a letter to my representative and signed the petition. 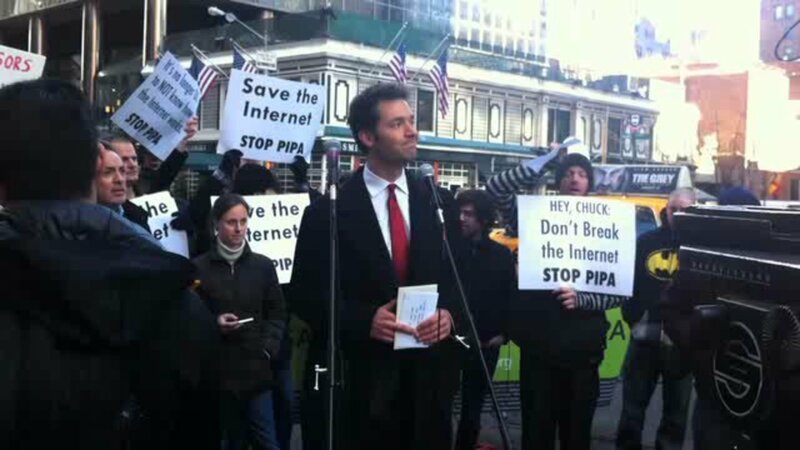 SOPA/PIPA change the internet in a very bad way. Without the internet, how else would someone in Russia and Nigeria send e-mails to people in hopes they will “send money to keep his family out of the streets because his papers and money had been stolen while vacationing in Europe”? Without the Internet, how would anyone read GigaOm?